Why did web banners suddenly get so complicated and costly? In the Spring of 2015, all was well in the world of Web Banners (display advertising as the more cultured call it). But three events that Summer would lead to a radical change in the way these ‘display’ ads were purchased, designed and programmed. And an industry that was pushing for change suddenly had to deal with the change they were pushing for—all at once. When the iPhone 3G was released in 2008, Steve Jobs waged war with Adobe Flash, the primary tool to build animated websites and banners. Almost every banner running on a website was built in Flash. Jobs said that Flash delivered bloated files reducing performance and battery life on his devices. He was right but who cared since most web banners were only seen on desktop computers. 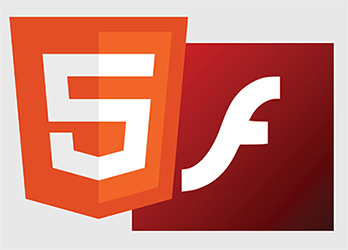 Jobs pushed for HTML5 instead of Flash but the industry stuck with Flash and accepted static banners as the norm for the mobile world. Interest in HTML5 hit a fever pitch in August 2010 when Arcade Fire released their single We Used to Wait and created an Interactive Experience called The Wilderness Downtown.The Microsite was a groundbreaking experience that made the most of HTML5’s features while pulling data from Google Satellite and Street Views to put the user into the video. The project deservedly won every digital and design award of the time. All of us in the digital advertising world thought HTML5 was taking off and we would soon see more websites like The Wilderness Downtown all over the Internet. And that all banners would soon be built in HTML5. We figured we would jump in as soon as more graduates came out of the technical design schools and art institutes with solid HTML5 programming skills. In reality, no one was working with HTML5 (yes I’m exaggerating a little). As I think back on my desktop browsing experiences between 2011-2014, I saw one HTML5 banner a month compared to the thousands of Flash and static banners served to me. The new generation of HTML5 programmers in the art schools was a myth. There were no classes full of aspiring programmers ready to embrace this new world. Hackers from Italy (those darn Italians!) found a hole in Flash allowing them to steal over 400GB of data from personal computers around the world. Firefox and Chrome immediately blocked all Flash content including web banners. All Flash banners defaulted to their static backups which usually didn’t perform as well as their animated counter parts. The security hole was fixed and three days later all was right with the world. Then a notice from Chrome’s Blog that went unnoticed until after the July security breech sent shockwaves through the digital media world. Google believed that self-running content using Flash required a computer to expend resources unnecessarily thereby cutting battery life. They reasoned that if a Flash banner was running at the bottom of a web page while the user was at the top of the page, the computer was working harder than it needed. On September 1, 2015 Chrome would force users to click a ‘PLAY’ button on all Flash content to see the creative. So a banner at the bottom of the page wouldn’t start running until you got to the bottom of the page and clicked on it. Made sense from a computer performance point of view. Remember Google was still pushing low priced Chromebooks with small batteries. But here was the flaw in their reasoning -who in their right mind would click on a banner ad to watch it? By their nature, web banners are disruptive which is OK if the creative is engaging. But now, you could easily ignore the disruption. September 1 came and went. Most advertisers switched to their static ads but Flash units ran as normal. On September 12, the change took effect exactly as Chrome as described. We believe it’s a matter of time until Safari and Firefox follow suit. Not sure about Internet Explorer. Luckily we followed these developments and made the switch to HTML5. Our Flash developers learned Adobe Edge Animate and started creating some really effective ads. Our development teams dove into the advanced HTML5 coding for Rich Media placements and turned out some engaging units with ZIP code locators and custom filmed video content. ClickTAGS were a little tricky to work through. It was hard to find information on how to handle them in HTML5. Even the Interactive Advertising Bureau (IAB) Standards website was surprisingly vague when it came to this. But eventually we worked through it. What caught us off guard was how many media companies were unprepared for the change. We couldn’t get basic specifications like max file sizes, accepted file formats, ClickTAG requirements, etc. Everyone kept pointing us back to the IAB Standards, which never answered exactly what we needed. They only provided broad guidelines. We leaned on our own experience in banner production and Ad server trafficking to make educated guesses. Our own internal media team combed through the web to fill in the missing pieces and brought their own Ad server experience to the table. Lucky for us, our media and digital production teams sit next to each other helping with communication and testing! In the end, we got good at this really fast! Digital display advertising is going to get more expensive. It takes more time to produce and debug these units especially if they involve rich media and video assets—one of the key benefits of HTML5. There are only a few skilled and experienced people building HTML5 banners who also have experience with Ad serving tools like Double Click for Advertisers (DFA), Google’s own ad serving platform. Experience is key because of the sudden influx of HTML5 units being submitted to DFA, they are unable to offer adequate support. It seems that only the largest media buyers get their calls returned. And worst of all, the new targeting opportunities that allow you to take ads to specific audiences also require you to create more units to fulfill the media buys. In one case, we had five creative executions at seven sizes across three regions. Yep, that was 105 HTML5 banners plus their static backups. It’s why I tell marketers to plan ahead for larger production budgets. It’s not that HTML5 and direct targeting has made everything more expensive. It’s more like we never knew how easy and cheap we had it when you only needed three sizes and could build them using the tool that everyone knew and accepted. If I were a gambling man (truth be told I kind of am) I would say that the ‘Table Stakes’ for effective display advertising just got a lot higher. This is not necessarily a bad thing. The up side is HTML5 allows us to add animation to mobile ad placements. The industry has been forced to revisit web banner best practices. And the new audience targeting tools leads to greater relevancy and more engagement, which leads to more awareness and sales. And in the end, that's what effective advertising is all about. The next hurdle: ad blockers on mobile devices.